Rumours of long queues in the Sentosa Aquarium were unfounded; the main problem was the hideous number of snotty, out-of-control children taking photos on their phones without comprehending the beauty and magnificence of the exhibits (where have I seen that before?). They took lunch in the Taiwanese Din Tai Fung. Although the dumplings were superb, they forgot Mrs M’s sweet-and-sour pork, which was off the menu; they just forgot to inform the customers. 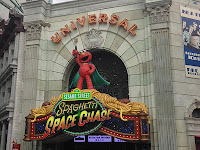 In the afternoon, while the old people took naps at home, Duncan and Jamie played in Universal Studios. The queues were short thanks to drizzly weather. 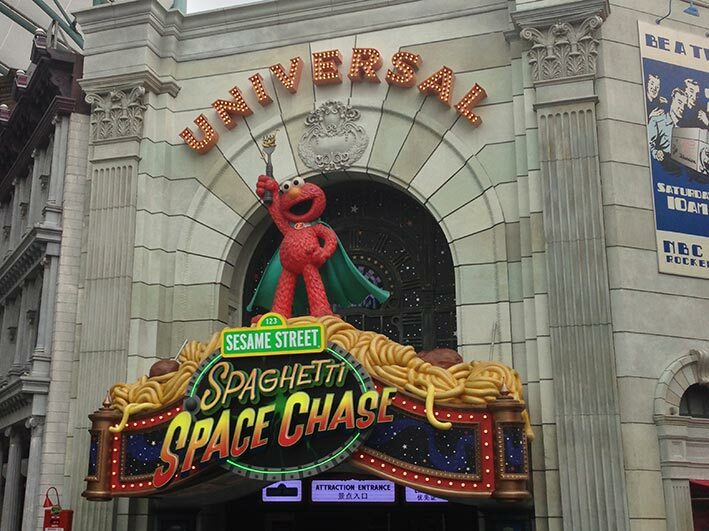 Jamie’s favourite attraction was the Sesame Street Spaghetti Space Chase. Duncan thought the Tranformers ride was the best use of 4D he’d ever seen. He regressed further into his childhood by playing with Transformer toys in the shop afterwards. A great afternoon for a couple of fully-grown men.